Lynne tailors each presentation for that audience, and loves to research and create talks for special events or specific topics. Contact her to discuss your event, idea, or area of need and she will be happy to brainstorm with you! "Lynne is an excellent presenter, whose enthusiasm is contagious. Her frequent interjections of humor really keep the pace moving." "Your life experiences have made you extraordinarily gifted. I liked your stories; I enjoyed your candor, and your generosity is evident in the many kindnesses extended to us. The Bible references, variety of activities, and recommended books were also wonderful." "You need to be placed in a mold and a million replicas made and then one should be given to every church in our country so that people would really understand God's love for them." "Appreciate your humbleness and willingness to share your own stories." "Excellent balance of Scripture and professional knowledge." 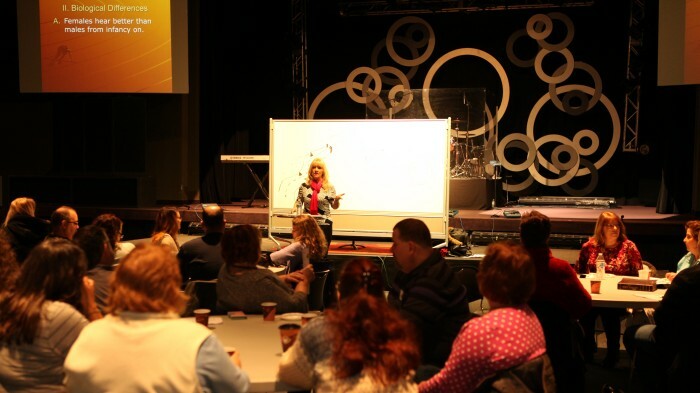 "Our women’s ministry invited Lynne as our speaker for a three-day retreat. Her comfortable, sensitive style, coupled with transparency, helped us to quickly engage and identify with her. In addition, we were truly blessed as she was sure to weave God's Word into each of her presentations. 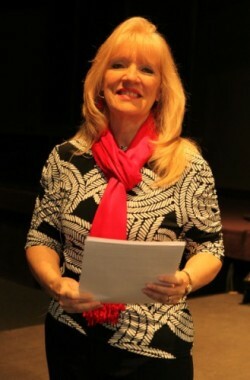 We would highly recommend Lynne as your next speaker!" Is your plate so full it's dripping on the floor? Do you suffer from stress-related ailments? Can you set limits and still be a loving person? Do you have to get angry to address an issue? Balanced boundaries can empower you to create relationships that are honest, intimate, and fulfilling. Hear practical ways to improve relational skills, deepen your intimacy with people you care about, and cultivate more love, understanding, and respect. Appropriate for Staff Retreats, Marriage Conferences, and any place people talk! Includes male/female differences in communication, proper confrontation, and conflict resolution tools to resolve any issue without fighting. Assess and understand your personality type and how to change it. Then you'll begin to see yourself and everyone around you through a clearer lens...complete with Ah-ha Moments! Guidelines to help you help others without enabling. Suitable for church staff, deacons, deaconesses, mentors, small group leaders, and lay helpers of all kinds. An understanding of the distinctions between biological families and stepfamilies is crucial for pastors, counselors, and those living in stepfamilies. But, most of what is available on this topic is written by those who havenever lived in a stepfamily. Receive wisdom from one with extensive stepfamily experience, and learn the one surprising rule that fosters success. Do Smart People Make Dumb Choices? What Are Roots of Unwise Choices? How Do I Tell Green Flags from Red Flags? How Do I Trade Differences for Balance? Communication - Calm or Confrontational? How do We Steer Stepfamilies through Storms? How do I Reach My Relationship Goals? A 10-session seminar to help you achieve the best season of your life so far. Thrive: Grow, develop, flourish, prosper, blossom, advance, succeed. Today: Our only opportunity to make choices and effect change. Not the yesterday of hurts and regrets, and not the tomorrow we may dread or hang our hopes on. Learn tools for today to heal yesterday and maximize tomorrow. Enjoy the freedom to thrive! Increase the positivity and healthfulness of any work environment: One-day seminar for businesses and non-profits.